Legendary FET compression with tone and attitude — true to the original. Universal Audio’s 1176LN Classic Limiting Amplifier is a handbuilt, faithful reproduction of Bill Putnam Sr.’s original visionary design — an iconic piece of audio history that had a hand behind classic recordings from Led Zeppelin, The Rolling Stones, Michael Jackson, and more. Billed as a “true peak limiter with all transistor circuitry and superior performance on all types of program material," the 1176’s major selling point was its ultra-fast attack time — a mere 20 µS (.00002 seconds) at its fastest setting. But engineers soon found out that the 1176 also injected character, attitude, and vibe to anything run through its circuitry. Some even used the 1176 with the compression turned off, just for the distinctive tone it imparts. The unit’s amplifiers and transformers all by themselves give a desirable “hot” quality to anything passing through them. In 1999, when Bill Putnam, Jr. relaunched Universal Audio, a reproduction of the Blackface 1176LN was the company’s first product. Reissued in 2000, it was based on the circuit designs of the C, D, and E revs of the classic 1176. One of the most critical aspects of recreating the sound of the original hardware, was faithfully reproducing the original output transformer, complete with the additional windings that provided the feedback signal to the final line output amplifier circuit. Bill Putnam Jr. found extensive design notes that enabled him to recreate and improve his father’s original design. One of the 1176’s famous features are its push-button selectable ratios of 4:1 and 8:1 for compression, and 12:1 and 20:1 for limiting. 1176 at 4:1, to its most notable setting, the “All Buttons In” mode, where all the ratio buttons are depressed simultaneously. This allows the 1176 to make a sound unlike any other processor ever heard before. Distortion increases, along with a plateaued slope and a lag time in response to initial transients, creating an explosive sound on drum room mics, fuzzing-out bass or electric guitar sound, or squeezing a vocal to bring it front and center of your mix. Carefully trained Universal Audio staff hand build and test each unit at the UA Custom Shop in Santa Cruz, California until it meets our uncompromising standards. 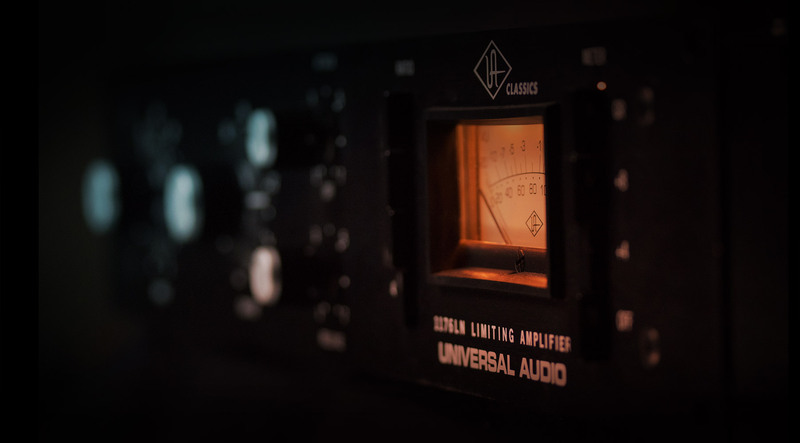 This Universal Audio Classic version of the 1176LN captures all the nuance of the original through obsessive attention to detail and delivers that trademark sound. Demand the original.